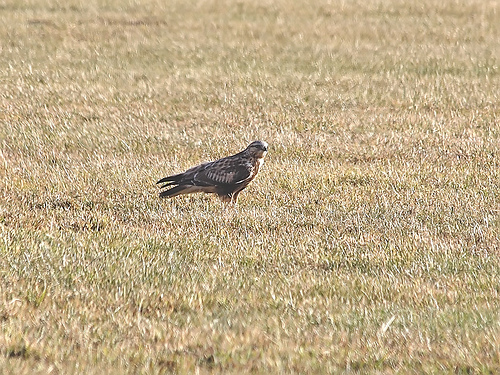 The Rough-legged Buzzard looks like its brother, the common Buzzard. One difference is that the Rough-legged Buzzard can "pray" while hunting; flapping, but in the meantime standing still at one point and then suddenly gliding down on its prey. Another difference is that the Rough-legged Buzzard always has clearly visible dark wrist-spots on its underwings and a dark belly. 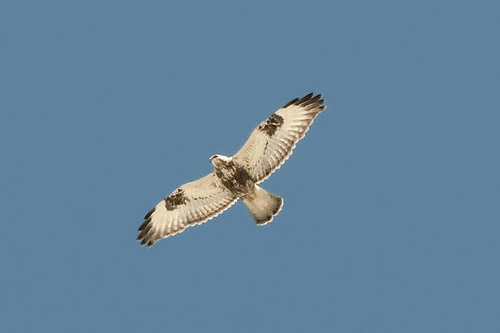 The Rough-legged Buzzard has clearly visible dark spots on its underwings and belly. Also, the wings are much wider.